Turns out, being a bridesmaid in your 20s isn't all bachelorette parties and booze — here's what you need to know to survive the big day. 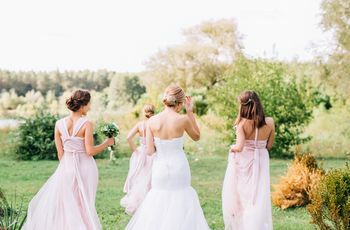 If you’re in your twenties and have recently been asked to stand beside your best friend on their wedding day there can be a few things you may not know about being a bridesmaid. In fact, more than 50 percent of all bridesmaids find their experience as a bridesmaid a bit stressful. From figuring out bridesmaid duties to staying on top of your career at the same time, here are a few life hacks that might help. Check out these key things every 20-something should know about being a bridesmaid. Booking travel plans early will save you A LOT of money. When it comes to purchasing flights to your friend’s bach party or booking hotel rooms, these expenses will likely wreak some havoc on your credit card bill. 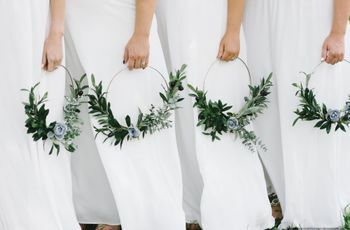 On average, bridesmaids spend around $1,200 per wedding, but that can easily increase to up to $2,000 when you include travel, the bachelorette party, and more. 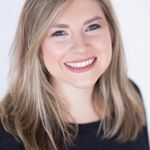 So if you know the bride-to-be is dreaming of an out-of-town excursion for their bachelorette or is planning a destination wedding, try and book plans ASAP. The sooner you purchase your travel and accommodations the less likely prices will sky rocket. Your work/school schedule is still important. 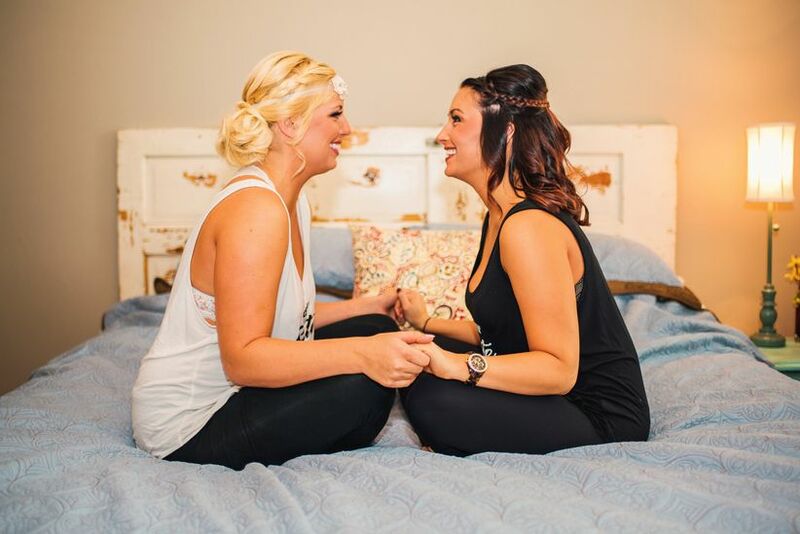 Just because your bestie is getting married, doesn’t mean you have to put your life on hold. They will understand if you have work or school commitments that interfere with pre-wedding activities. So try your best to plan ahead of time, but if you really can’t swing working on a huge project and attending a bridal shower on the same weekend, don’t feel bad declining. You can pick out your own bridesmaid dress. One of the biggest bridesmaid dress trends that will actually work in your favor is mixing and matching different dresses to create a unique bridal party look. If you are given the option to purchase your own dress, you can save a lot of money. 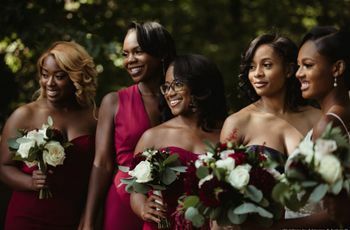 On average, 50 percent of bridesmaids are given a few options/styles to choose from when it comes to their bridesmaid dresses and many stores like Rent the Runway or Vow To Be Chic even carry rentable designer bridesmaid dresses. If the bridesmaid dress choice is entirely yours, you can buy or rent a gown that works for your budget. Not everyone gets a plus-one. Don’t take it personally if you weren’t given the option to bring a plus-one if you aren’t in a serious relationship. While it is a nice gesture to receive a plus-one, these typically go to guests who are in long term relationships. So if you're single, don't expect to get a plus-one—but if you do, that's great. A group text thread is an easy way to bond with the other bridesmaids. 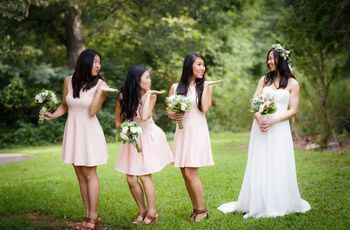 Once you know who's in the bridal party, make sure and reach out to the fellow bridesmaids and introduce yourself to the ones you may not know or aren’t as close with. Getting to know everyone in your bestie’s squad will make celebrating the bride-to-be that much more fun. It also is an easy way to coordinate bachelor party ideas or bridal shower plans. Comfy shoes can make a world of difference. It is always a good idea to carry along a pair of trusty flats with you to any pre-wedding or wedding event. From popping into restaurants and bars during the bach bash to dancing the night away at the wedding, your feet with thank you if you bring along some comfy shoes to slip into. Liquid courage won’t help you deliver a tear-worthy toast. If you’re asked to give a speech or toast either at the rehearsal or night of the big day, remember this isn’t a college party it is a wedding. The last thing you want to do is get up with the microphone and start slurring words or bringing up not so funny memories of the bride in front of Grandma. While it’s perfectly alright to indulge in a few drinks, make sure to know your limit before getting up on stage and grabbing the mic. Thank the bride-to-be every chance you get. Whether it be a quick phone call after receiving a “Will You Be My Bridesmaid” box or at a bridal shower, it’s always a good idea to let the bride know you’re honored to be a part of their big day. This will be one of the most important times of their lives and for you to be included is a special gesture that shouldn’t be unnoticed. Sure, you may be paying for a few things that you may not want to chip in on, but you should still make sure the bride knows you’re happy to be celebrating with her and her future spouse.